Mohenjo Daro, the much awaited Hindi offering released this Friday opposite to Akshay Kumar’s Rustom. Hrithik Roshan starrer this epic-adventure movie has been released on around 2700 screens across the country with good buzz among fans as well as audience. But due to its genre and heavy competition, it received almost decent response on box office and registered one of the lowest openings of Hrithik’s career. Most of the viewers liked the movie, also Hrithik and debutante Pooja Hegde are being praised by everyone for giving wonderful performances. But unfortunately due to its slow execution Mohenjo Daro received mixed reviews from critics as well as moviegoers. Despite favorable reactions of fans and audience, it got failure to compete with adjacent release Rustom and lagging behind it by much difference. 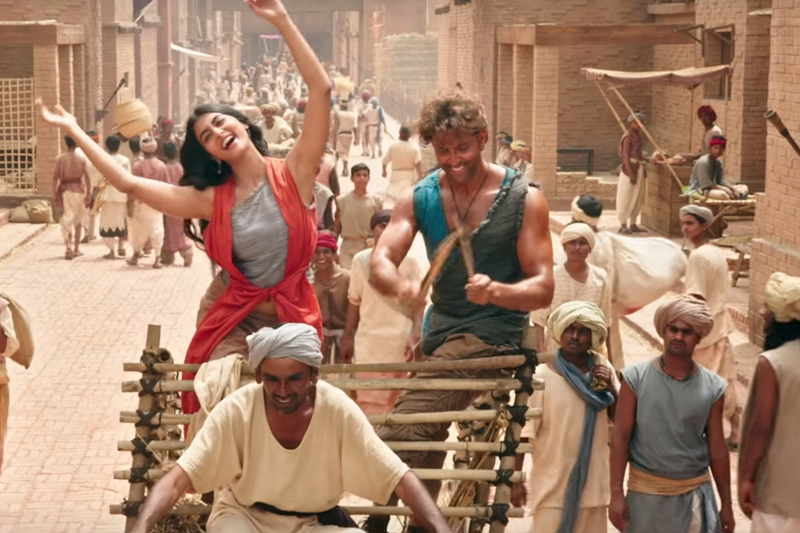 On the opening day, Ashutosh Gowariker’s very ambitious directorial venture Mohenjo Daro recorded 30-35% of occupancy across the country and emerged as 9th highest opener of the year so far with the amount of 8.87 crores. From overseas market too, it reported quite decent business of 6.82 crores which included 3.15 crores of UAE-GCC alone. On the next day, being Saturday the movie received slight rise in its business and raked the business of 9.60 crores. On the last day of weekend i.e. Sunday, Mohenjo Daro witnessed slightly higher occupancy in morning than previous day and added the amount of 12.08 crores to its account. With this, total opening weekend collection of the movie has become 30.55 crores on domestic box office. Being holiday, Monday is expected to increase its business total by decent rate.